Update: It’s available at the official online LEGO Shop for $4.99 USD. Sometime recently a new 32×32 10″x10″ blue building plate popped up at Amazon. 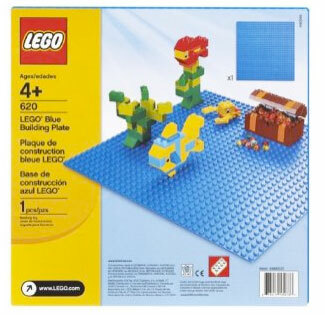 It’s the LEGO Blue Building Plate (32×32) 620 and it will be available on January 1, 2010, probably to coincide with the launch of the new Atlantis sets or the Imperial Flagship #10210.